This is the first of a regular series of articles to be written by guest authors. This time around, Gary Smith from “Keylogger Reviews” tells us about the risks of keyloggers, and what you can do to protect yourself. While edited for house style, the work is entirely that of the author. Keyloggers are sneaky programs that are usually silently installed on your computer without your awareness. Once they are in, they capture everything that is happening and send this information to the “hacker” via email or an internet-based server set up especially to receive your details. I thought that I was safe…I heard stories that people got hacked in the past but never took them seriously. I thought that the hacker simply guessed the password or something similar. However one day a friend showed me the log file from a computer that he had infected with a keylogger. In few minutes of scrolling and searching trough this file we had access to a Facebook account, a few email accounts, found credit card information and a paypal password. We could also read private chats on MSN and Skype. But this was just the tip of the iceberg, there was a lot more that we could dig up since the log file contains everything that has been typed on the keyboard since the installation of the keylogger. There are over 50 different websites that sell keyloggers on the internet. The monitoring tools they offer are so simple that even your grandmother can install and use them to spy on you. Everything that has been typed on the keyboard. This includes, things that were coped and pasted, passwords, credit card info, emails – send and received, private chats and etc. Voice and video recordings from the microphone and webcam. However most of the time they have these features disabled because recordings take way too much space and are hard to send over the internet un-noticed. Websites visited and files accessed. With screenshots of your browsing activity. It depends. Some antivirus programs can detect all known keyloggers, but it’s the ones that aren’t known you need to worry about, and it turns out that anti-virus programs are not 100% effective at detecting keyloggers, particularly if they are already installed before the antivirus solution. Hackers can also make a few modifications in the code of an old and detectable keylogger to hide it from some antivirus programs. While the details are sometimes a bit too complex to go into in this article… it is possible and hackers do this all the time. However, once the “new” keylogger is detected on one computer, the modified code is remembered and shared, which means that the new keylogger is now detectable everywhere. How can your computer get infected by a keylogger? A person you know might install one on your computer while you are not watching. By using an infected USB device. From downloading cracks or keygens from the internet. These files often contain viruses or keyloggers. By Installing games or software from unknown publishers. From Downloading and Installing programs from torrents. By visiting a website that exploits some browser vulnerability, this usually happens when you are using an outdated browser or have outdated plugins in a browser, or your operating system is not up-to-date with the latest security patches. So, as you can see, there are many different ways to get infected. If you are regularly downloading games and software from torrents then your computer is probably infected right now. Again… we know this because it has been seen on real users computers. The friend I was talking about earlier was spreading his keyloggers through warez and torrents, he infected over 1000 people and was getting over 50 megabytes of log files per day. Keyloggers are always a threat, however they are only a real threat if you have something valuable on your computer, for instance you can be less worried if you are using a PC for basic (non-banking and online shopping) web surfing and game play. If you are using your computer for serious things, such as online shopping or banking, or at any point storing valuable data, then you need to take security very seriously indeed. The most common keylogger victims are people that are playing MMORPG games like World of Warcraft and Shaiya. You can be playing for years, working on collecting gold and equipment just to wake up one day with nothing on your account. Keyloggers can be also really scary if you are running an online business because someone can simply take down your website or install a malicious code that abuses your hosting server. So How Do You Protect Yourself From Keyloggers? Getting an anti-virus program is a must if you are using torrents to download video games or software. However, there is not a single program that can protect you from all the threats out there, they usually detect less than 90% and if you have some really important and sensitive information on your computer then those 10% left can seem pretty serious. And in that case I suggest that you also use some of the other protection tips below. Stop downloading suspicious things from unknown software developers. Only install something when you really need it and don’t risk your security for the next calorie counter or youtube downloader. A great way to way to bypass this problem is to find a web based software alternative that you don’t have to install on your computer. 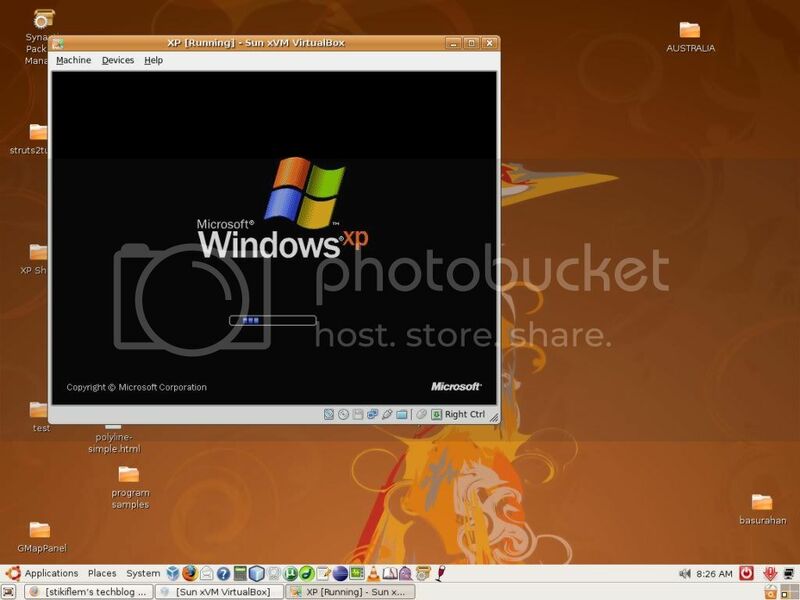 There are programs like virtual box and vmware that allow you to run multiple operating systems on one pc in the same time. You install the safe things in the main operating system and you install everything that might contain a keylogger in a virtual machine. Keyloggers work by recording the keys pressed on the keyboard. You can bypass this system by using the mouse to write the important information. Have you ever heard about the on screen keyboard that comes with windows? The problem with this method is that it can be really slow and painful for long term use. So I only use this when I type my password on the most important websites or when using another computer. This is by far the best protection from spyware, viruses and keyloggers! You can search for a Linux keylogger in the darkest corners of the internet and you still won’t find a decent one. In contrast, when you search for mac or windows keyloggers, there are hundreds of options that you can choose from. I would suggest using Ubuntu for a week to see how it goes. The biggest disadvantage of Linux is the incompatibility with popular games and software that run on windows and mac. 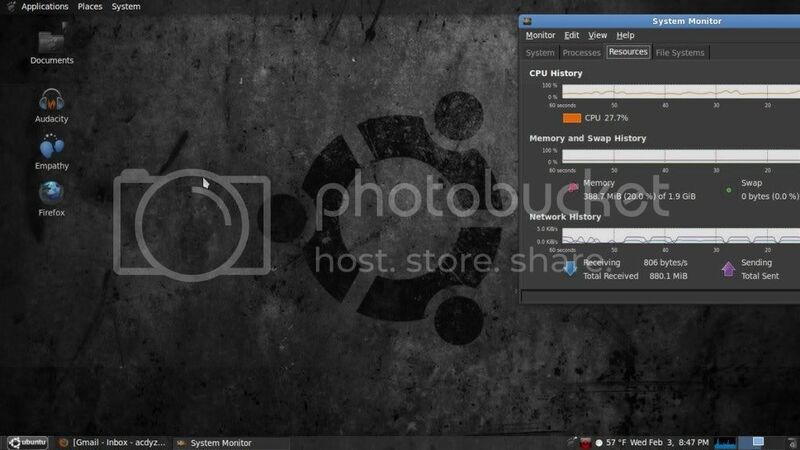 However, Vmware and Virtual box also work on Ubuntu which means that you can run a Windows virtual machine under Ubuntu to get the best from both worlds.. This article was written by Gary Smith, you can check him out and read some of his latest keylogger reviews on his website. Is World of Warcraft: Cataclysm running Slow on your PC? This entry was posted in Tips and Tricks and tagged keylogger. Bookmark the permalink. I wanna know that all keyloggers are unsafe and bad? I’ll give a guarded answer: yes to unsafe, no to always bad. The article you are commenting to, however, is specifically warning of keyloggers that can be installed on your system that you don’t want or know about, as opposed to software that a user has elected, with full knowledge and control of the software, to install. Good tips on how you can protect yourself from keyloggers. Keyloggers are software or hardware tools that capture the user’s keystrokes from keyboard. I personally use On-Screen Keyboard also Virtual Keyboard to enter password to logging my bank accounts. Also: I ‘m not saying that the ‘extra features’ are a good idea in the first place, but the fact remains that they put them in there for those reasons. I have used keyloggers to monitor what my children were doing online. Great write up though! Today there is a serious demand and desire for this keystroke-encryption technology that provides best defense versus malicious malwares. Malware is a worldwide issue, and it appears that the source of much malware is mostly Russia and China. Standard anti-virus software application options on the market today claim security versus malware, but these claims are misleading given the varied and virulent nature of malware. The reality is numerous, if not all, of the popular anti-virus software on the marketplace mishandle in shielding users versus serious and pricey types of malware, specifically “absolutely no day” attacks. These are attacks that occur in genuine time. KeyLog is a harmful breed of malware. Commonly invisible to users, malware sends vital details such as passwords and credit card numbers from a computer to criminals whose primary intent is to take. A KeyLogger can likewise record instant messages, e-mail, and any information a user types into a computer system at any time. Given that keyloggers are considered the top security hazard today, there is a growing requirement for Best Anti KeyLogging software such as StrikeForces and CWA (the marketing arm) keystroke-encryption product. Cyber Wealth Alliance Inc. who contracted with StrikeForce Technologies Inc. to sell StrikeForces items internationally with an Affiliate Partner program called CyberWealth 7. One of StrikeForces core products, which is re-branded in our company as CFA Defender, has actually entered mainstream adoption in just the last 18 months. StrikeForce is the business who invented genuine time file encryption, and they really possess the patent to Keystroke Encryption, U.S. Patent Office No. 8,566,608. Given that Hacker are seen as the leading security threat today, there is a growing demand for Best Anti KeyLogging software such as StrikeForces Anti-Keylogging Keystroke Encryption Software product. We have the only solution on the market. For Free information or to Sign up now and protect yourself from KeyLoggers message me back. Not all the keyloggers are “are unsafe and bad”. If you need to use one, just make sure it’s a legit keylogger (by example SpectorPro, Spytector, Ardamax) and you download it from the official website. For about 6 months I used extensively Spytector (see http://www.spytector.com ), it’s a cool program. subject for a while and yours is the best I’ve came upon till now.